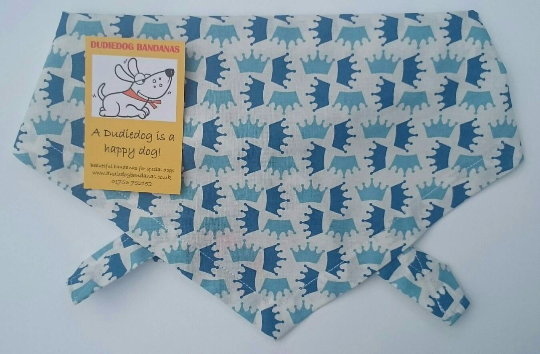 A fabulous quality Blue Crowns dog bandana from our Premium range. The background is off white, and the crowns are lovely shades of blue. It's the perfect bandana for the Princely dog who considers himself superior / Royalty! If your dog rules the roost, this is the bandana for him! Fabulous for the fun loving dog about town or country!! Perfect for parties or simply posing!